Mark David Buckles is a conductor, composer, singer, music educator, multi-instrumentalist, and worship leader. Mark's many roles include serving as the Director of Music at Arlington Street Church in Boston, Music Director of The Sanctuary Boston, and as a Lecturer and Affiliated Artist of Music Theory at MIT. 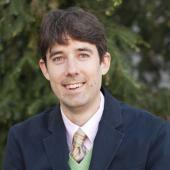 Mark has previously taught at Boston University and the University of Massachusetts Lowell. In addition, Mark is a both a prolific composer and arranger of choral, vocal, and instrumental music, and an acclaimed performer and worship leader, leading worship and music services throughout the country with his reverent spirit and infectious energy. Mark received his Masters of Music in Conducting at the Boston University College of Fine Arts and his Bachelors of Music in Composition from the University of Michigan School of Music. Mark received honors for his studies in counterpoint and harmony at La Scola Cantorum and L'Ecole Normale de Musique in Paris and is a graduate of the Conductors' Institute at Bard College. Mark is a native of Beverly Hills, Michigan.